When you enter the exhibition ‘Ferran Adrià. Auditing the Creative Process’ you will immerse yourself in a new world in which to reflect on creativity in your own everyday life. Put your creativity to the test before visiting ‘Ferran Adrià. Auditing the Creative Process’ by answering these eight questions that will help you to give some thought to creative processes. 1. Which senses have an influence when it comes to eating? 2. What kinds of reactions can food arouse beyond the gastronomic sphere? 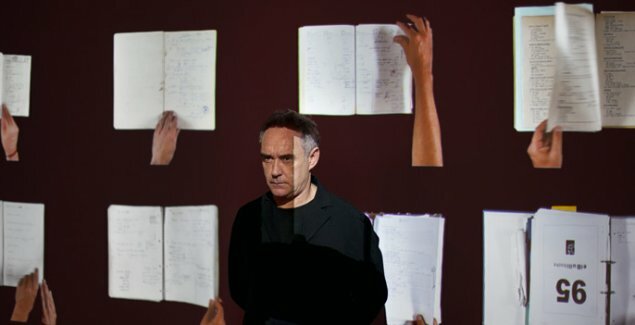 3. Who is Ferran Adrià? What is El Bulli? Why are they so well known? 4. What is gastronomy? How has it changed throughout history? 6. What are you usually doing when new ideas pop into your head? 7. Is there a method for being creative? And, if there is, can it be replicated? 8. Can a restaurant become a laboratory of creativity? Were you able to answer all these questions? The educational team at the Fundación Telefónica Space has devised this test to get your mind primed and open to thought while visiting each area of the exhibition.